The United States faces a serious retirement challenge. Many of today’s workers will lack the resources to retire at traditional ages and maintain their standard of living in retirement. Solving the problem is a major challenge in today’s environment in which risk and responsibility have shifted from government and employers to individuals. For this reason, Charles D. Ellis, Alicia H. Munnell, and Andrew D. Eschtruth have written this concise guide for anyone concerned about their own — and the nation’s — retirement security. Falling Short is grounded in sound research yet written in a highly accessible style. The authors provide a vivid picture of the retirement crisis in America. They offer the necessary context for understanding the nature and size of the retirement income shortfall, which is caused by both increasing income needs — due to longer lifespans and rising health costs — and decreasing support from Social Security and employer-sponsored pension plans. The solutions are to work longer and save more by building on the existing retirement system. To work longer, individuals should plan to stay in the labor force until age 70 if possible. To save more, policymakers should shore up Social Security’s long-term finances; make all 401(k) plans fully automatic, with workers allowed to opt out; and ensure that everyone has access to a retirement savings plan. Individuals should also recognize that their house is a source of saving, which they can tap in retirement through downsizing or a reverse mortgage. Charles D. Ellis was for three decades managing partner of Greenwich Associates, an international business strategy consulting firm. He has taught advanced courses on investing at the business schools of both Harvard and Yale and has served on the governing boards of Yale University, Harvard Business School, Exeter, NYU Stern, and the Robert Wood Johnson Foundation. He currently chairs the Whitehead Institute. Ellis is the author of 16 books, including the bestselling Winning the Loser’s Game. Alicia H. Munnell is the Peter F. Drucker Professor of Management Sciences at Boston College’s Carroll School of Management. She also serves as the director of the Center for Retirement Research at Boston College. Before joining Boston College in 1997, Munnell was a member of the President’s Council of Economic Advisers and assistant secretary of the Treasury for economic policy. Previously, she spent 20 years at the Federal Reserve Bank of Boston. 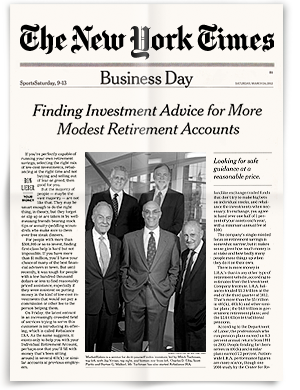 Munnell has published widely, with a particular focus on retirement security. Andrew D. Eschtruth is Associate Director for External Relations at the Center for Retirement Research at Boston College. He directs the Center’s communication activities and manages relationships with the government, foundation, and corporate communities. Previously, Eschtruth was a senior analyst with the U.S. Government Accountability Office specializing in federal fiscal policy and social insurance programs.